My name is Sereena Nahmabin and I’m 21 years old. I’m a boxer and I’ve been competing for almost three years. I’ve had nine fights with a result of 7-2. I studied at Lambton College in Police Foundations. 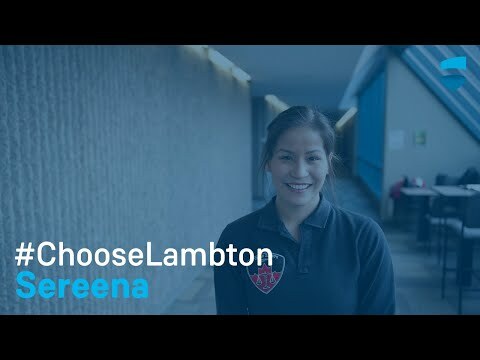 I chose Lambton College because of the support, especially from the teachers and the Aboriginal Cultural and Learning Centre. Anything I needed, they were there. My biggest challenge while studying at Lambton College was losing my best friend Kailee. I knew right then and there, if I couldn’t get through losing my best friend then why am I pursuing policing. It made me stronger and more courageous. I'm a cadet with the London Police Service. I work in the cells taking care of prisoners. I love working with people. I know that not everyone is meant to be a police officer. I feel that I am made for this 100 per cent. I let nothing hold me back. Nothing. There is not one thing that will hold me back from what I want to pursue. Hard work and perseverance pays off. I've proven it and will continue to prove it throughout my life.